Just as the weather starts to get colder, people often start to wonder what their heating bills will look like this winter. Fortunately, keeping rooms nice and warm for the cold winter is not particularly difficult to achieve. With attention to windows, heating equipment and overall energy consumption, consumers can stay comfortable but still save energy. Windows are a common source of heat loss from the building. Heat loss occurs when the heated air inside escapes to the colder air outside. However, there are several things you can do to prevent this problem. On warmer days, open the blinds on south-facing windows to allow sunlight in. Blinds or shades may be closed during dark or particularly cold hours to help provide an extra layer of protection. Adding curtains to windows is also an excellent way to prevent heat loss. Windows are also a likely place for air leaks, which allows cold air to enter the building and force the heating equipment to work harder. Sealing air leaks around windows and doors minimizes this problem. The equipment used to heat your home requires service on at least a yearly basis. A qualified technician from A. Borrelli can provide professional maintenance or repair on furnaces, boilers, heat pumps and other HVAC equipment as needed. The U.S. Department of Energy suggests that homeowners check their furnace air filters regularly. Clogged air filters cause the furnace to work harder to keep the place warm, which consumes more energy. Care for heating equipment also involves hot water heaters, which you may use more often during winter. As such, it is important to check the insulation for the water heater, to conserve the energy used to heat the water. Remember that your HVAC systems are more than just appliances. If you suspect a problem with your ductwork or insulation, be sure to ask your technician for an inspection of these areas as well. On top of making sure that the HVAC equipment is working well, there are a few things you might consider to lower your energy consumption. If you do not have a programmable thermostat, you may realize that using one helps you keep the rooms comfortable and save you time and money on your utility bills. You do not need to keep the home exceptionally warm to be content. The Department of Energy recommends that you keep the temperature set to 68 degrees during the day and a little lower at night to keep your energy expenses as low as possible. Extra blankets or a sweater are also useful ways to minimize your energy use. If your energy consumption seems overly high despite attempts to conserve, you can always request service for your HVAC systems. Before winter arrives, you want to make sure that your abode will provide you with protection from the snowy, icy weather. 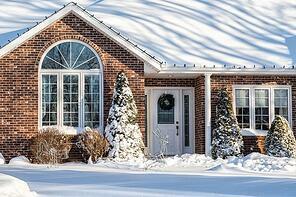 With these tips, you can improve your comfort and enjoyment of your home, regardless of the temperature outside. To get the maximum output from your heating equipment this year, contact us today.